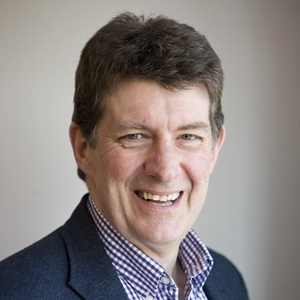 Nick Ellerby is a trusted confidant to leaders, mentors, leading organisations, senior teams and change agents. He brings a background in psychology, leadership, multidimensional culture change, human relations practice and depth facilitation. His experience of being a supportive, catalytic and challenging consultant, facilitator and one-to-one developer spans over thirty years. He thrives on helping people and organisations develop their potential and capacity for change. Nick has proven ability in designing and implementing significant culture change processes, developing key teams to face uncertainty and work collaboratively, navigating the complexity and unpredictability involved in achieving whole organisational development. He brings an incisive capacity to work beneath the obvious whilst demonstrating a deep understanding of people, relationships and organisations. He works in public, commercial, family business, third sector and hybrid organisations, with experience of working globally. He is co-facilitator on longer-term programmes including the Global Innovation Collaboratory and The Whole Person Facilitator as well as enjoying shorter intensives such as Skills for Change. Nick takes a lead role in developing inquiries into questions aligned with social change, responsible leadership and innovation. He is co-founder of the Oasis School of Human Relations, creating a radical peer-based organisation pioneering Whole Person Learning in the UK and globally. Fellow of the Royal Society of Arts, Manufacturing and Science. He is author of The Seven Stage Model, Peering into the Future, Working Relationships for the 21st Century: A Guide to Authentic Collaboration, and Discovering the Temperaments and co-author of 7 Principles to Shape the Workplace of Tomorrow. Nick shares his life with his partner, Marion. They have two daughters, Alexis and Charlotte, and two wonderful grandchildren, Lily and Arnie. A two day programme on the Oasis Seven Stage Model for effective relationships, which will equip you with core change skills that can be transferred to projects, people and systems.